The movie revolves around Titu (Sunny Singh) who is a hapless victim of romance. A perpetual lovesick puppy, he falls in love way too easily and gets his heart broken at the drop of his hat. Sonu (Kartik Aaryan), his street-smart, suave pal is his saviour. He literally saves him from bad company, relationships and is kinda obsessed with him… in an endearing sort of a way. 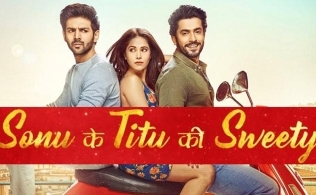 Sonu advises Titu to stay away from Sweety (Nushrat Bharucha). Titu does not pay any heed to Sonu’s advice but in turn tells him that his motherly instincts are making him say so! This sentence sort of summarises the extent to which these guys are close!